It seems we may not have Liam Neeson around much longer to get back all those taken humans he’s so good at un-takening. According to The Hollywood Reporter, the actor recently gave an interview in which he threatened to permanently retire his particular set of skills, at least when it comes to fake-beating the hell out of people in front of a camera. 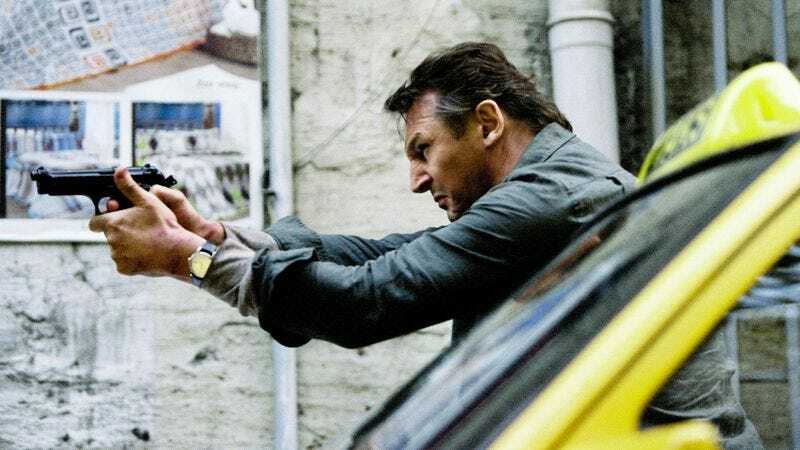 Asked how much longer he would continue to star in films like Taken, Taken 2, Taken 3, A Walk Among The Taken, Non-Stop Taking, and the new release Take All Night, Neeson replied, “Maybe two more years—if God spares me, and I’m healthy. But after that, I’ll stop [the action], I think.” Neeson implies that his age is increasingly a factor in the viability of doing action-intensive films, though it’s certainly possible he was just deeply wounded by that one firearms supplier who got mad when Neeson suggested that maybe America has a gun-violence problem. Or maybe he’s simply so excited about the screenplay he’s writing with Bono, he wants to stop everything else and just focus on that. There are many reasons for America’s favorite dispenser of fictional justice to quit doing action movies. If I feel audiences saying, ‘Come on, he’s 62, enough is enough,’ I’m very sensitive to that and if I pick up that vibe it will all stop. And I’ll start playing dads or grandfathers. But I keep myself pretty fit and my knees are still great. And it’s fun. So two years from now will be the perfect time for you to send Neeson that script about the grandfather whose entire family gets taken, and instead of getting revenge, the grandpa just kicks back, pulls up the foot rest on his Barcalounger, and fires up a DVD of Love, Actually.